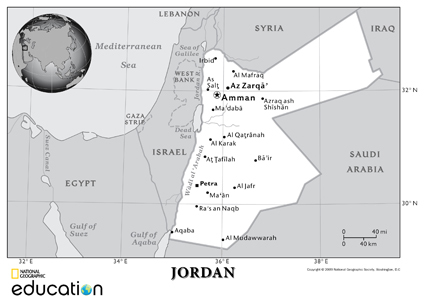 Petra is located about 164 miles south of Amman and 84 miles north of Aqaba. It lies on the slope of Mount Hor in a basin among the mountains which form the eastern flank of Arabah (Wadi Araba), the large valley running from the Dead Sea to the Gulf of Aqaba. How to get to Petra? There are two main international airports in Jordan, Queen Alia International Airport (Amman, Jordan) and King Hussein International Airport (Aqaba, Jordan). Other modes of transportation to visit Petra include JETT buses, public minibuses, or taxis. Petra Moon Hotel is newly reopened with an endless variety of four star services. The rooms of five star amenities, all day dining room, shuttle service from the hotel to all different destinations in Jordan and vice versa. The hotel is located at the gate of the ancient city, Petra ,just 100 meters from the visitor center of Petra. The Mövenpick Resort Petra is the ideal starting point for exciting excursions to the ancient City of the Nabateans. This resort is located directly at the entrance to the historic city of Petra. The Mövenpick Resort with an oriental flair features an exciting combination of natural stone, handcrafted wood and luxurious Middle Eastern fabrics and textures. Overlooking the dramatic Petra Mountains and located in the heart of the city, Amra Palace Hotel combines the warmest Arabian hospitality with the splendour of an ancient city carved into rose-red cliffs. Amra Palace Hotel is wonderfully located at the heart of the city, the hotel is minutes away from the main shopping areas and the entrance to the ancient city of Petra. The hotel is owned and managed by a family whose roots in Petra go back for several generations. Have you already visited Petra or plan on visiting? Do you have an interesting Petra travel story? We would love to hear about your Petra travel experiences, your reviews of hotels, restaurants, or tours, your top travel tips and any recommendations...anything about Petra travel that you can share with us. No visit to Jordan is complete without a visit to the rose-red city of Petra, one of the wonders of the world. Carved from the pink-hued stone more than 2,000 years ago, this amazing site embraces temples, tombs, gorges and cliffs. Accompanied by your own private driver and guide, you'll enjoy personalized attention on your private tour of the unforgettable city of Petra. On this 4-day tour you'll travel south from Amman to the ancient city of Petra to see the magnificent Treasury (El-Khazneh). Continue to Wadi Rum, a uniquely shaped mountain that rose amongst the rosy red sand of the desert. Later visit the Dead Sea where the salt content of the water is so high, no fish can survive.